The 2011 contest had 196 teams entered. They competed in 7 meat categories: chicken, brisket, whole animal, ribs, sausage, pork and miscellaneous. Over 200 judges graded the meat on appearance, tenderness and flavor. 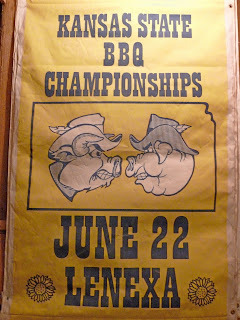 The internationally recognized Kansas City Barbeque Society sanctioned the event and insured that the judging was honest and fair. 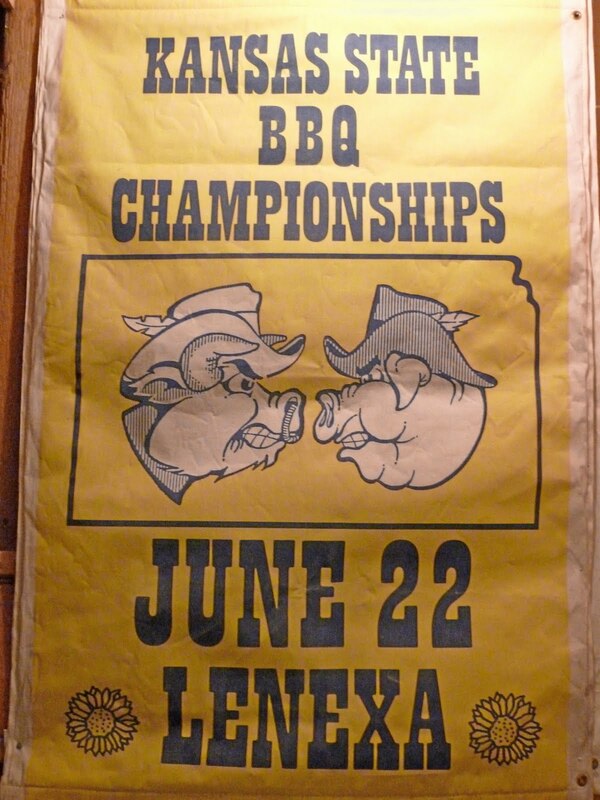 The first Lenexa BBQ contest was held on July 3, 1982. (Two Lenexa competitions were held before the State Championship designation was conferred in 1984.) That first contest consisted of 12 teams and 12 judges. Instead of today's thousands of dollars in prize money, the champion received a case of beer. When the beer was awarded, a bottle was missing. (No doubt, someone had needed a marinade.) That 1982 modest beginning resulted from two Lenexa residents, Alan Uhl and Pat Dalton, suggesting in December 1981 that a contest was needed. The suggestion was made to the Lenexa Parks & Recreation Board. Seven months and 30 years later Pellet Envy of Leawood became the envy of BBQers everywhere. They became the 2011 Kansas State BBQ Champs. Congratulations.